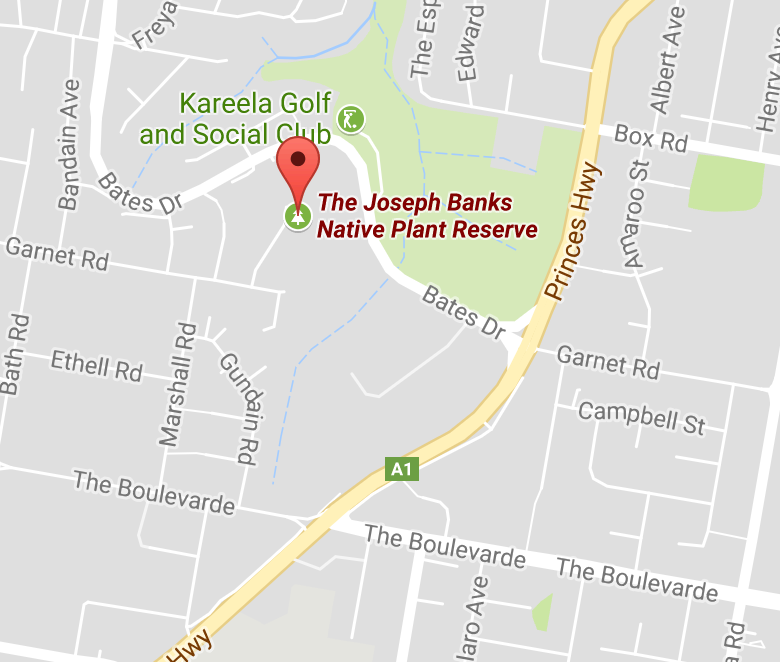 Why is Joseph Banks Native Plants Reserve at Kareela in Sydney’s south one of the best kept secrets in Sydney? We don’t know! Sutherland Group has had a long association with the Sutherland Council-run Reserve, we’re very proud of it and we’d like more people to enjoy it. Joseph Banks Reserve was established in 1970 as a bicentennial project to celebrate the 200th anniversary of James Cook and Joseph Banks visiting Botany Bay in 1770. It is one of only a few specialised gardens in Sydney devoted entirely to Australian native plants. What is there to enjoy? The Reserve covers 2.2 hectares with planted areas in theme gardens including edible foods, Acacia garden, scented garden, silver foliage garden, rainforest, cycads, ferns, mixed shade, and mixed Proteaceae beds. Sutherland Group maintains one area, through a monthly working bee, to show how native plants can be used in gardens. An area of the Reserve has been left unplanted to show the natural flora of Hawkesbury sandstone. A hazard reduction burn was undertaken here in October 2009 and this has had the effect of stimulating the regrowth of a number of previously dormant plant species. Over time, the Reser ve has matured into a peaceful and serene environment, with mature trees filtering sunlight onto a diverse understorey. Angophora costata is a signature tree on the site. The sloping site facing north provides varied topography with large outcrops of sandstone and several water features. Despite the slope, it is possible to walk around the Reserve on sealed paths without steps. An ongoing educational project at the Reserve is labelling plants with their botanical name. In 1988 as part of another Bicentennial project, Sutherland Group began engraving labels. Currently over 600 species are labelled with their name. Over one third of these species are local to the Sydney region. A list of the labelled plants is available at the Sutherland Group website. It shows we have over 60 species of Grevillea labelled, over 30 Acacia species and 13 species of Banksias. Due to the interests of people who have been involved with the development of the Reserve, there is a very interesting collection of plants including Grevilleas, ferns and cycads. Other features of the Reserve for visitors include bitumen paths, toilets (including disabled facilities), picnic tables, BBQs stocked with wood, undercover information stand and carpark. A paved terrace overlooking a pond is used for weddings and other functions. We are planning for the next milestone with the 50th anniversary of the Reserve in 2020. Sutherland Group is working with Sutherland Council to best use the available gardening resources, to plan for the long-term, and to improve marketing and promotion to increase community awareness and use of the Reserve. We encourage you to visit Joseph Banks Reserve, whether as a part of a Study group, a District Group, or as individuals. The Reserve is open 7 days. 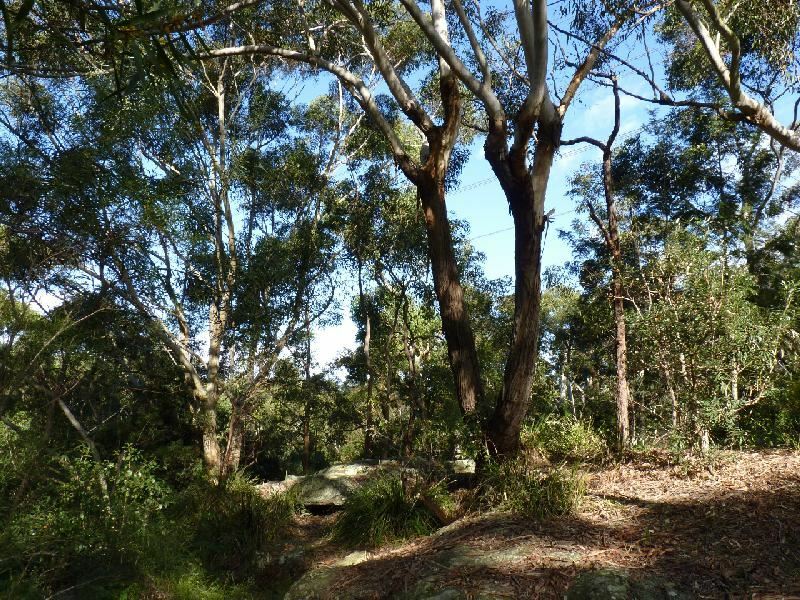 The Joseph Banks Native Plant Reserve was initially developed by Australian Plant Society (then SGAP) members but has been maintained since 1977 by staff of the Sutherland Shire Council. The Reserve covers a wooded hillside of typical Hawkesbury sandstone. It includes a landscaped garden crossed by over 2 km of paths, with water views to the north. 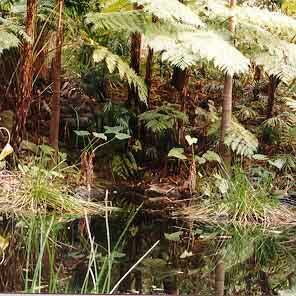 Distinct areas include a garden maintained by the Australian Plants Society, scented garden, rainforest, and fern garden. Many plants are labelled and descriptive brochures are available. The Reserve has picnic and barbecue areas and a paved wedding area, that can be booked for weddings, wedding photos or other important civil celebrations. Contact the Council for details on (02) 9710 0333. The Sutherland Group of Australian Plants Society participates in the maintenance of a section of the Joseph Banks Native Plants Reserve. See also the media clippings and the list of labelled plants at the Joseph Banks Reserve. We hope you enjoy Joseph Banks Native Plants Reserve.